Kenya has detained nine suspects in connection with a terror attack by the Somali-based Islamist militant group al-Shabab on a Nairobi hotel and office complex that killed 21 people, police officer said on Friday. Police told the Reuters news agency they were pursuing a woman suspected of ferrying weapons to Nairobi from Kiunga, near the border with neighbouring Somalia, via the port city of Mombasa. President Uhuru Kenyatta said on Wednesday that a 20-hour siege had ended with security forces killing the five militants who had stormed the hotel complex, forcing hundreds of people into terrifying escapes. Five suspects, one of them listed as a Canadian citizen, were taken to a magistrate’s court on Friday and ordered detained for 30 days to complete investigations that were “complex and transnational”, court documents said. The fate of the other four suspects who the police officer said were being held was not immediately clear. Police can hold suspects for 24 hours and need a court order to extend this. Al Shabaab, a Somalia-based al Qaeda affiliate fighting to impose strict Islamic law, said it carried out the assault on the upscale dusitD2 compound over U.S. President Donald Trump’s decision to recognise Jerusalem as Israel’s capital. Kenya, the East African hub for multinational companies and the United Nations, became a frequent target for al Shabaab after Kenya sent troops into Somalia in 2011 to try to create a buffer zone along its border. Of the five suspects presented to court, four were men and one was a woman. Court documents said two of them were taxi drivers and one was a mobile phone financial services agent. “I am satisfied that there is probable cause to continue with investigations against all the suspects,” Noordin Haji, the director of public prosecutions, said in a statement. 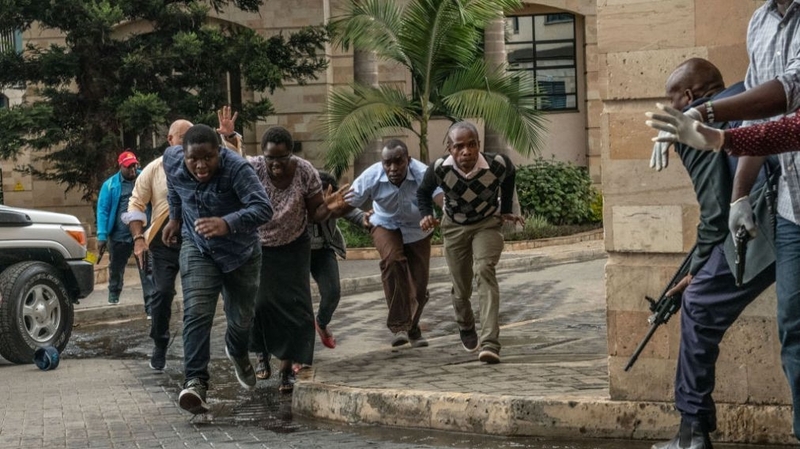 Sixteen Kenyans including a policeman, an American survivor of the Sept. 11, 2001 al Qaeda attacks on the United States, and a British development worker were among the dead in the hotel 14 Riverside Drive complex attack. International Criminal Court appeals judges delayed the release of ex-Ivorian leader Laurent Gbagbo on Friday, ordering that he be held for at least two more weeks after being acquitted on crimes against humanity charges. Zimbabweans are turning Virtual Private Network (VPN) technology to circumvent an apparent government internet shutdown according to leading VPN comparison site BestVPN.com. According to Sean McGrath, Editor at Best VPN.com, “It’s difficult to get a picture of exactly what is happening in Zimbabwe at the moment. Some are reporting that social media platforms such as WhatsApp and Facebook are inaccessible. If that’s the case, a VPN could help users circumvent restrictions. Global Platinum Mining to 2022 report has been released providing a comprehensive coverage on global platinum industry. It provides historical and forecast data on platinum production by country, platinum reserves, consumption to 2022. Global platinum mine or metal content in ore production was 6.1 million oz in 2017 – up by a marginal 0.8% over 2016. Production increased slightly due to a rise in production from the world’s largest producer, South Africa. A strong performance from Anglo’s large Mogalakwena open pit mine, where platinum output rose and from Sibanye-Stillwater’s Rustenburg platinum mines and Impala Platinum’s Rustenburg contributed to the increase in South Africa’s production. Projects due to begin operations in the next few years include the Platreef project (2018), the Styldrift 1 project (2019) and the Garatau project (2022) in South Africa, as well as the Dumont Project (2021) and Eagle’s Nest Project (2021) in Canada. Nigeria’s state oil firm said it has paid $993.7 million in arrears of capital contributions to its joint ventures with multinational oil companies by September, and still has to make up payments of $3.95 billion. NNPC has over the years piled up unpaid bills, so-called cash calls, that it was obliged to pay oil majors with which it has joint ventures for oil exploration and production.